No matter how long you’ve known your babysitter, there are many things you should know. Whether you realize it or not, you’re managing an employee, and it is best to treat them with the respect that you would in any other professional setting. These parenting tips will help you maintain an excellent relationship with your babysitter or nanny. Changing up your babysitter’s responsibilities last minute can be stressful and aggravating. If plans somehow change and you suddenly need your sitter to drop one of your children off or pick them up or make dinner, consider adding some extra cash for taking an extra duty. Let them know you understand that it’s not ideal switching the plans so last minute, but that you’re willing to work with them and pay them appropriately. It’s the best way to let them know that you truly do appreciate all that they do for you. 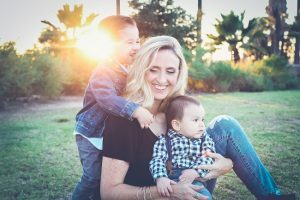 If you have a discipline system in place, it is imperative that you at least let your babysitter or nanny know what that system is and how it works. Even if you don’t necessarily want your sitter to utilize your disciplinary tactics, it’s best to let them know what works best for your children in specific situations. This way, they can control your children effectively and safely while you’re out of the house. If you’re going out with friends who also have kids, they may ask last minute if their kids can have a play date while your kids are with the sitter. The short answer to this question is “no.” This not only puts more pressure on your sitter by suddenly having to watch more kids, (some of whom your sitter doesn’t know) but it’s an inconsiderate way of handling business. Your sitter or nanny provides a service for you; not your friends. If this is an emergency situation, make sure that you and your friends are paying more than the usual amount. You don’t do double the work for the same rate of pay, and neither should your babysitter.